Surfing is one of the most popular and fastest growing board sports. It has deep routes from Hawaii and a long history in the UK as a recognised adventurous activity. The sport of surfing is fun, exhilarating and a great buzz. It is great for fitness, water confidence and the pure pleasure of being close to the ocean. is so true – we will get you believing it by the end of your lesson. NWSC aims to provide the most professional surf coaching available. We not only give you a structured lesson, which deals with YOUR abilities, but we will show you some of the real essence in surfing. All equipment + instructor included in our SurfingGB Surf Lesson with iambands skills system, you will learn many skills inc. basic ocean safety and have you up and surfing in no time. You will also come away with an iambands surfing ability award. You will arrive for a safety briefing, we will get you kitted up, then off for to the beach for warm up and brief land lesson and then straight into the ocean for on wave coaching, debrief and be given your very own iAMbands surf ability rating then eventually head back to base, grab a shower and get changed. Have you already completed a surf lesson and received your IamBands ability award and want to take it to the next level on the IAMBANDS Abilities scale? This is the session for you. Let us know what level you have achieved when booking. You will also come away with an iambands surfing ability award. All equipment + instructor included in our private lesson whether you are a beginner, completed a lesson or more advanced and wanting to improve. We will have you up achieve your goals. Surfing is a sport dear to our hearts and one we have been involved in for a long time. We have the latest Foam Surfboards made by C-Skins which have revolutionised the learning process. No longer do you stand on a lump of foam and stand to the beach. These boards are the real deal, you can surf them to the beach and they are still soft to ensure you have a safe lesson. We provide wetsuits that keep you warm whatever the weather or time of year and our coaches are seasoned veteran surfers who have travelled the world for perfect waves. 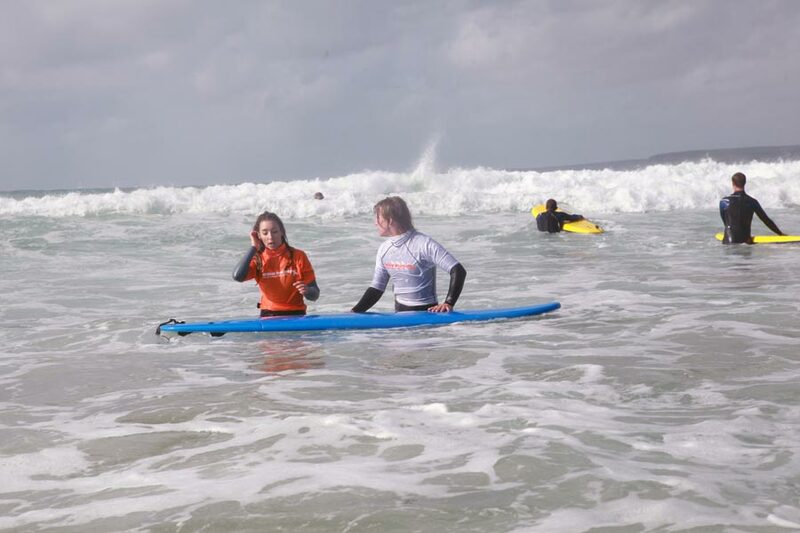 At our Surf School in Newquay the UK’s Surfing Capital, we offer the very best surfing lessons from beginner to advanced level coaching sessions. 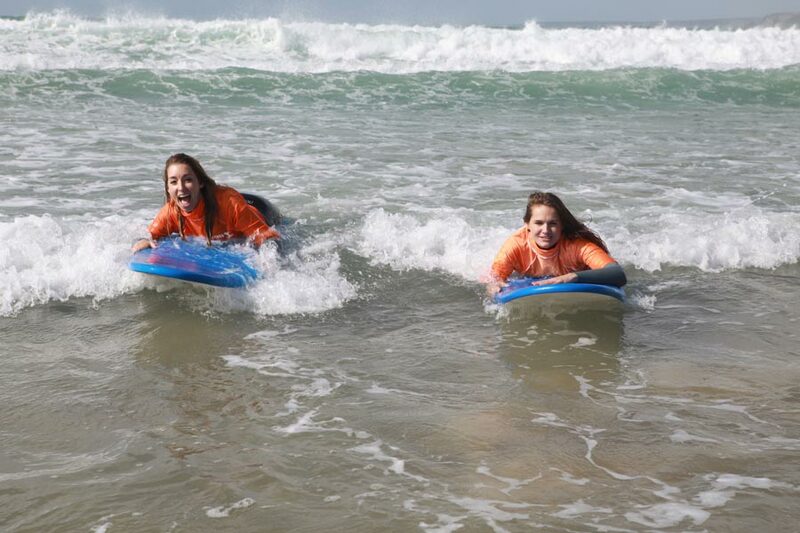 We also provide 1-2-1 lessons, video coaching, body boarding lessons, longboard coaching and Stand Up Paddle Boarding. Whatever your ability and craft you aspire to master we can help you achieve your goals in a fun and friendly environment. 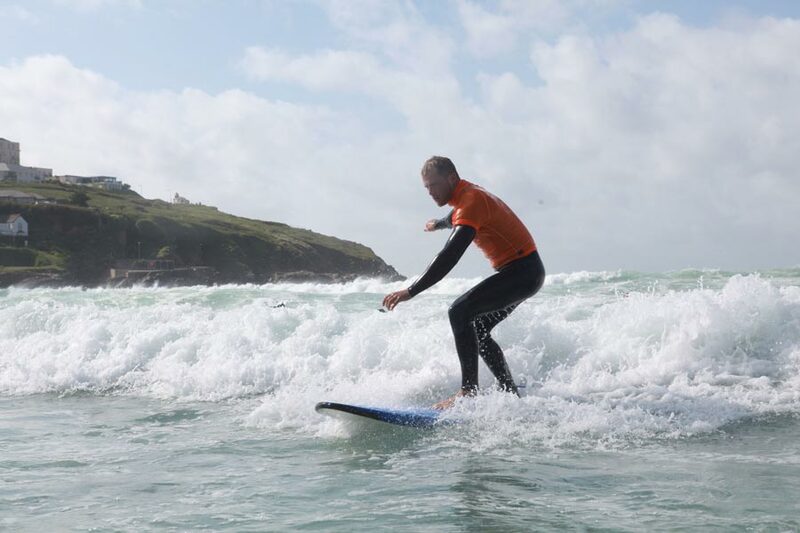 With use of our great facilities in Newquay and our mobile surf bus, we can take you to the best waves across Cornwall or simply walk down to the closest beach in town. We provide exceptional quality as well as excellent value.